We specifically looked for schools that had relatively low rankings on the US News list but high mid-career salaries. 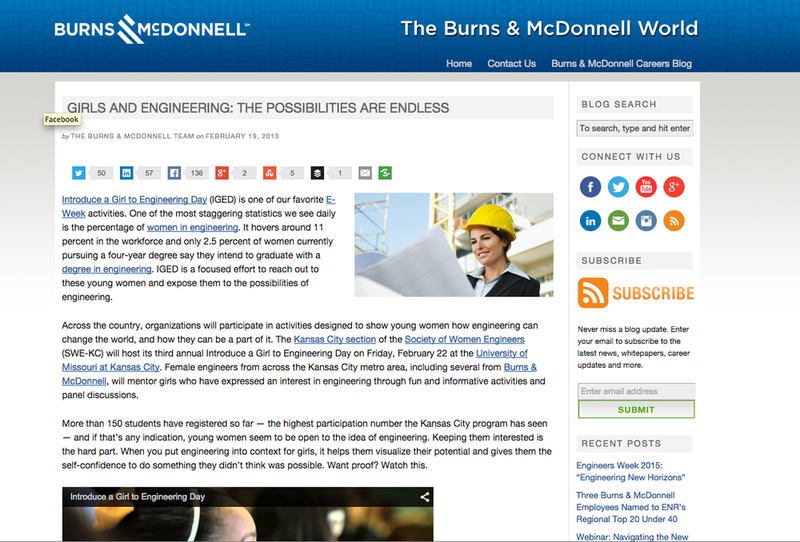 EngineerGilr.org This is a website highlights opportunities for Girls in Engineering careers, includes links, profiles of women engineers, and interactive features. The Society of Women Engineers is an organization that stimulates women to achieve full potential in careers as engineers. SWE Scholarships support women pursuing ABET-accredited baccalaureate or graduate programs in preparation for careers in engineering, engineering technology and computer science in the United States and Mexico. In 2014, SWE disbursed over 230 new and renewed scholarships valued at more than $700,000. Girlstart.org aim to increase a girl's interest and engagement in STEM through innovative, nationally-recognized informal STEM education programs. They developed and implemented a range of innovative, research and standards-based education and mentorship programs designed to promote girls' early engagement and academic success in STEM, encourage girls' aspirations and persistence in STEM education and careers, and incubate a talented and diverse STEM workforce.